“Immediately Sir.” The server was off to the kitchen. Breaking a piece of the blistered mung bean wafer, the gentleman quickly surveyed the condiments. He dipped the piece in the tamarind chutney, popped it in his mouth. Savoring the taste he closed his eyes. Faint traces of a smile formed on his face. He seemed transported far, far away. “Yes Sir and we serve it with Basmati rice,” the server replied. “And how spicy would you like your curry prepared Sir?” The server waited patiently for the gentleman to decide. The server brought in the garlic Naan piping hot on a bed of clean napkins. The garlic oil glistened on the naan blisters. The gentleman smiled widely. He tore into a piece and zestfully dipped it in the tamarind sauce. He tore off another piece. This time he tried the onion pickled chutney and the yogurt. He enjoyed every bit of the naan with his green tea. “Would there be anything else Sir?” The server was about to leave. “Of course Sir.” And the server, smiling, was off to the kitchen. The staff brings you this basket of piping hot bread lined with napkins. One look at it reminds you of the moon’s surface but not ashen looking and not too pockmarked. 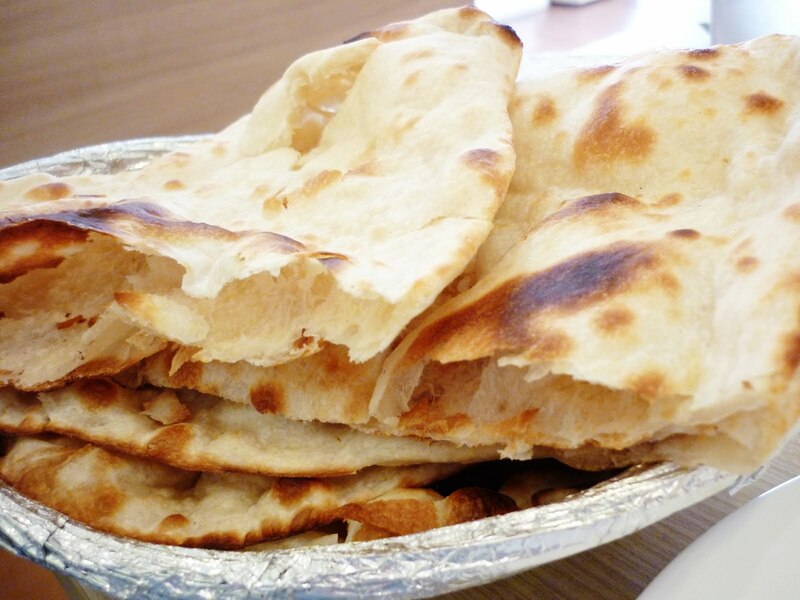 The secret to naan is found in the lightness, the blistered surfaces of whites and browns, the delicate coloration. You pick up the steaming garlic naan to break off a piece. Dip it in the curry sauce like a chip and savor the taste. Voila… you break off another piece and dip it. You do it reflexively now… you cannot just eat one! We had dined at India Palace Restaurant & Grill many times. During this visit, the table across from us ordered a sizzling dish of chicken; it was crackling, noisy and smelled real good. After a while, we conversed casually with the customer who ordered the sizzling dish. “That was some dish you ordered,” I began. “We’ll have to try that sometime; thank you.” I replied, dipping my garlic naan in the eggplant bharta. Chicken tikka – bite sized chunks of chicken breast covered in yogurt and rubbed with spices, roasted in an oven, laid on a bed of sliced caramelized peppers and onions, and served on a super sizzling hot plate! You’ve got to try it sometime. All week-long you’ve hustled, commuted, worked, ran errands, met deadlines, followed through with order shipments, and made the company money. You feel great; but a little tired of the wretched fare: warmed up pizza, soggy buns and limp French Fries. Even your favorite cold chicken legs for breakfast is getting to be monotonous. In your spare time you’ve read about the benefits of turmeric – that yellow powder in curry dishes. You’ve searched and found short clips about the vast open market bazaars of Istanbul and their food vendors. You saw people eating sizzling, spicy colorful dishes – purple, ochre, yellow, orange, blue, indigo, white, green, lime – even gold. Your mouth watered imagining the tastes and flavors. You are feeling bold and adventurous; it’s Friday. 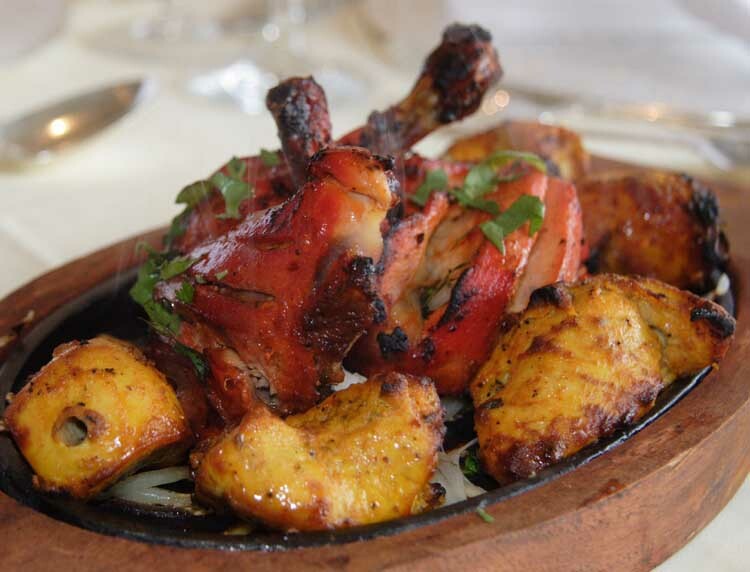 You find yourself seated in the India Palace Restaurant and Grill dining room. They bring out the appetizer dish of paper-thin mung bean fritters with tamarind, onion, and yogurt dips on the side. You glance at the other tables to see what the other customers are eating. The food looks great. You savor the aromas. You see something you like – looks like blistered bread, deep red chicken, vegetable curry dishes. You put in your order and wait. Soon you will be feasting. 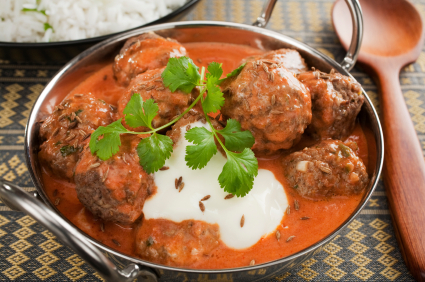 . .
Spicy Indian meatballs or kofta, in a creamy tomato sauce, with yoghurt, coriander and toasted cumin seeds. But you must taste this Kofta meatball dish spread over freshly steamed Basmati rice garnished with a sprig of fresh cilantro. Your senses will awaken to curry… more curry. 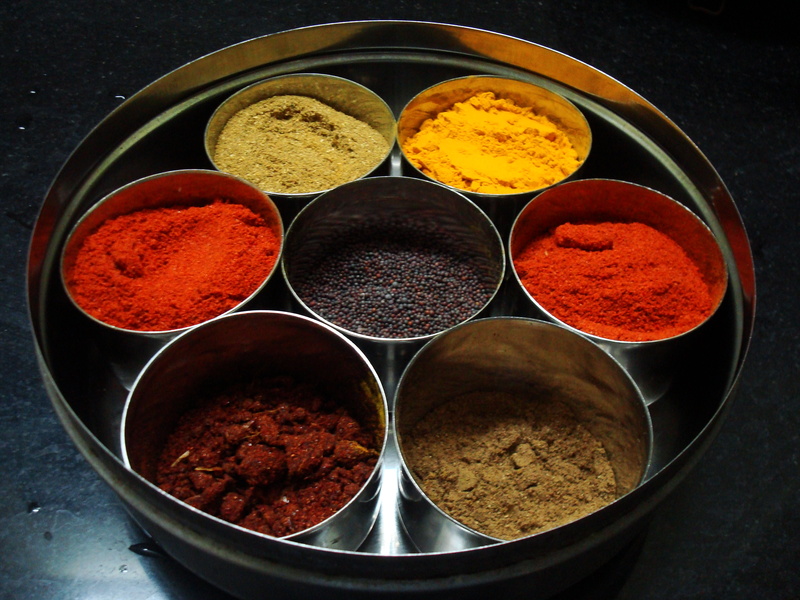 Authentic Indian Cuisine uses a variety of spices. A blend of spices, Garam Masala includes black pepper, cardamom, cinnamon, cloves, coriander, nutmeg, and turmeric. 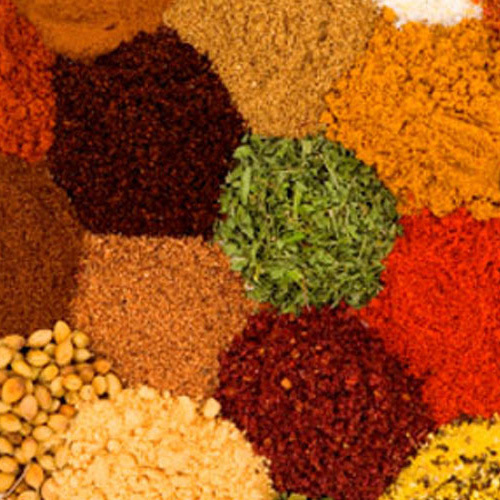 Garam Masala means “hot” or spicy or “warm” meaning mild. The chef adds Garam Masala at the end of the cooking to awaken the flavors and aromas of the dish. 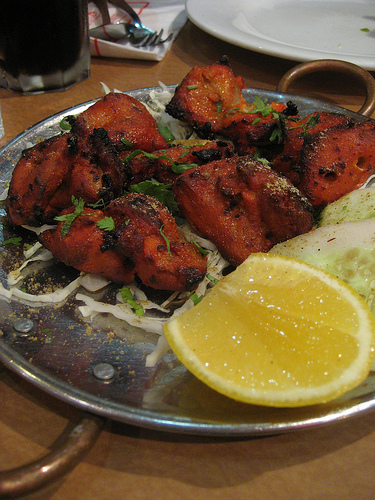 Tandori chicken is a well-known and well-liked Indian dish. Prepared in a special oven – almost like a kiln, the heat is constant and held to a proprietary temperature level. The basted chicken pieces shine with their sweet and spicy glazes. A nuanced smoky flavor transports you to the banquet rooms in those far pavilions of India’s northern regions. Cooking awakens and thrills the senses. 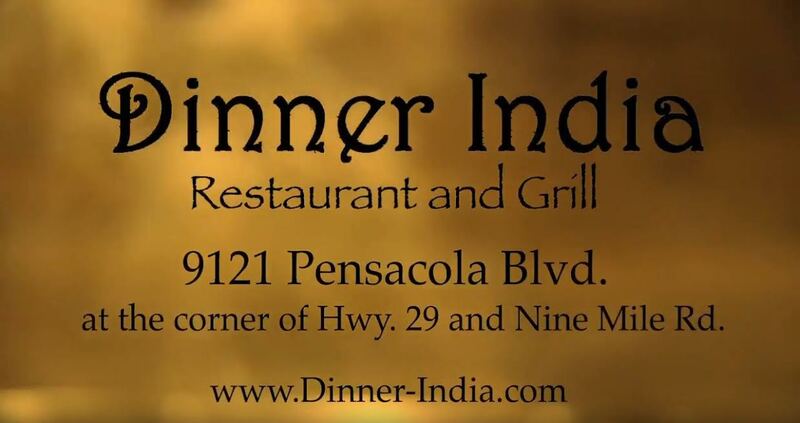 India Palace Restaurant & Grill brings you authentic Indian Cuisine. Like a painter composes the picture, mixes the paints, fills the palette with oils, renders the brush strokes, finally bringing to life a scene or portrait, our executive chef assembles his spices, blends them, takes a deep whiff of the spicy perfume, carefully mixes the curries, turmeric and the garam masala with precision. 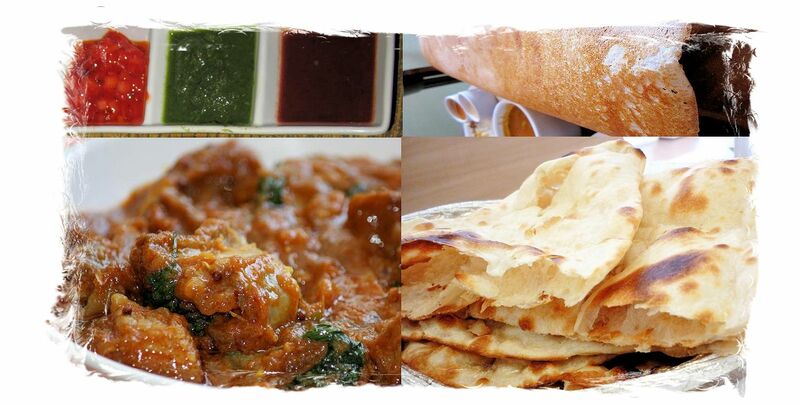 Join us for a meal from the heart of the vast Indian continent. Let us titillate your taste buds with our curries, our chicken tikka masala, and delicious eggplant and cauliflower renditions. 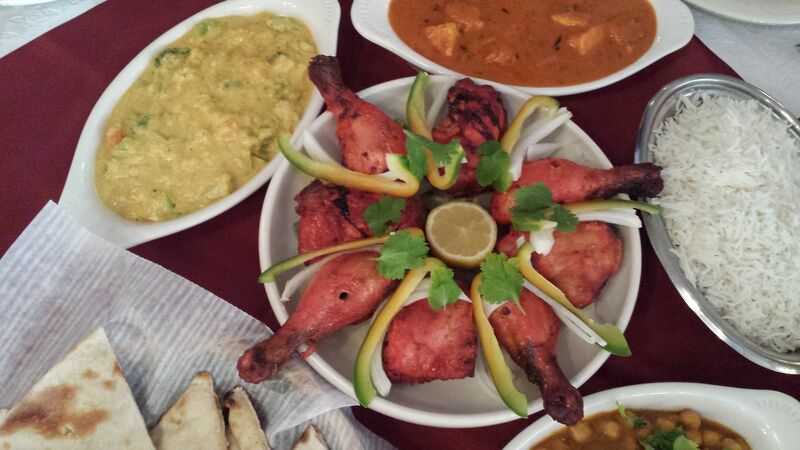 Authentic Indian cuisine appeals to the sight as well as the taste buds. Experience the elegant tastes of India. Come dine with us. Dinner India Restaurant & Grill. All rights reserved.